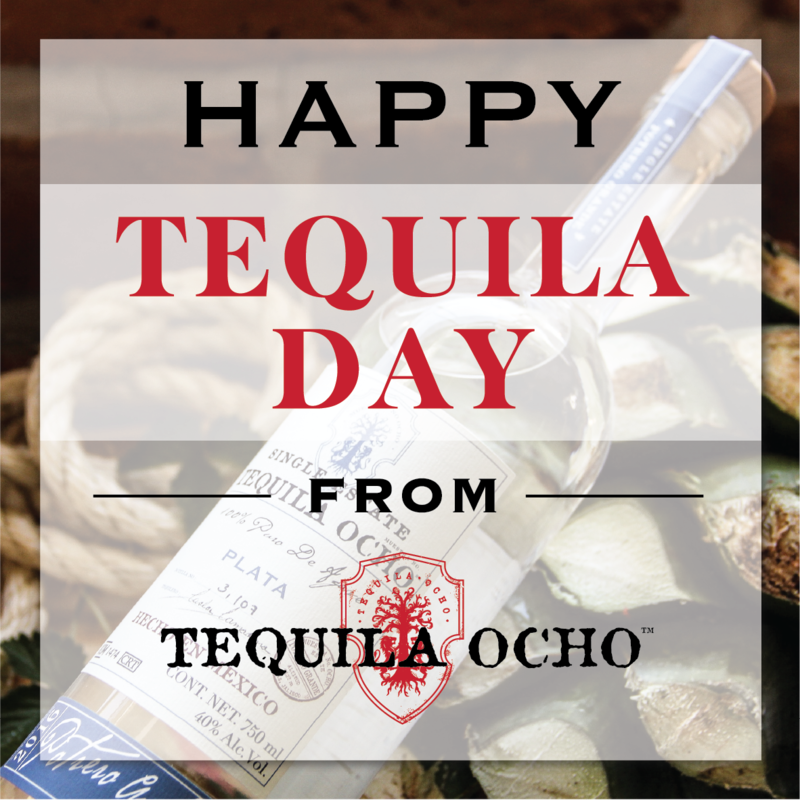 Wishing you all a Happy Tequila Day from all of us at Tequila Ocho! Tequila Ocho turns ten years old this year, and to celebrate we are releasing some very special tequilas, including an 8 year, 8 month old Extra Añejo, and Plantation Rum and Cognac Ferrand Cask-Finishes. We will also host a birthday party in London (the first city in which we launched in 2008), at Cafe Pacifico. 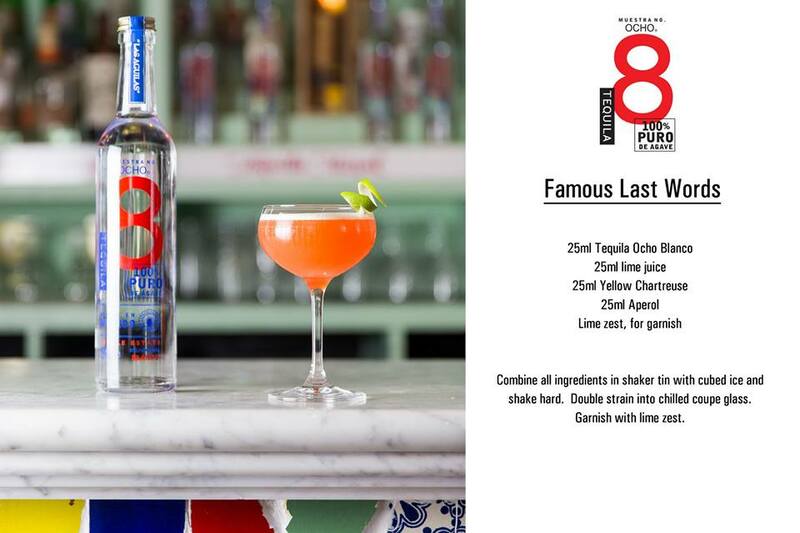 We ran a campaign on social media this month entitled ‘The 8 Commandments of Tequila Ocho’. The post went viral, with hundreds of shares and thousands of likes online. 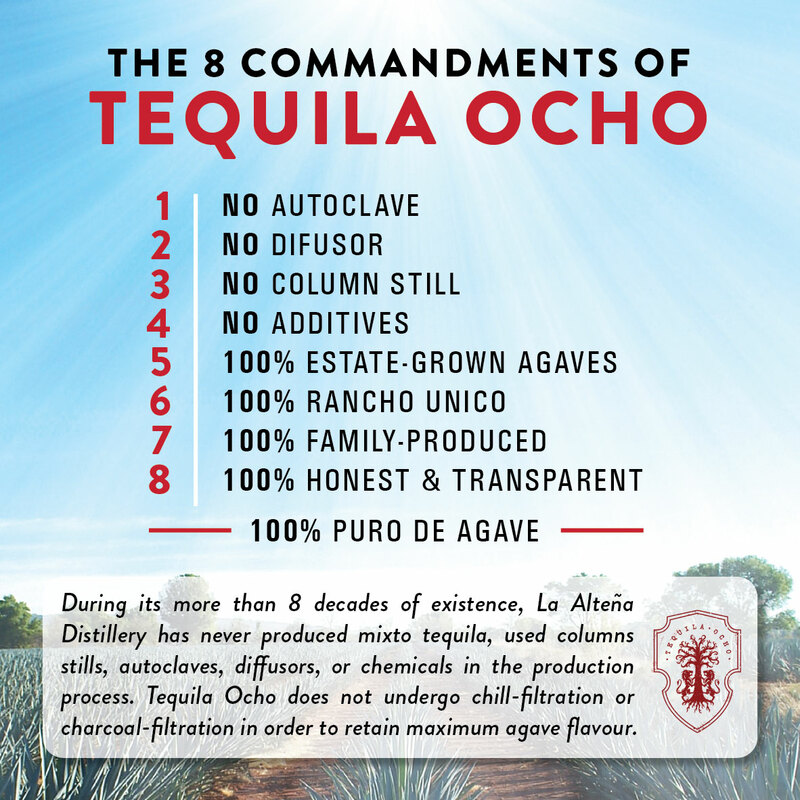 This list reflects our core tenets with regards to our tequila production. 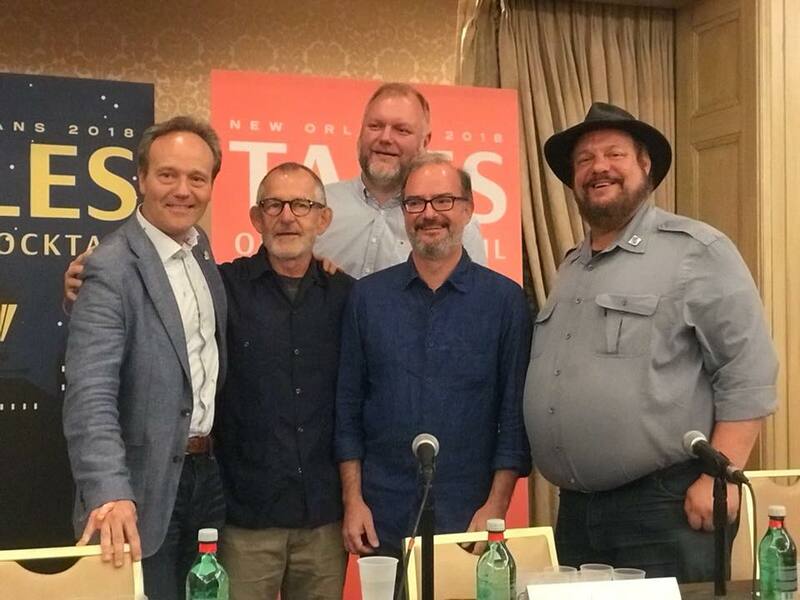 Ocho founder Tomas Estes traveled to New Orleans for Tales of the Cocktail last week, and participated in the ‘Geeking out with the Master Blenders’ panel. 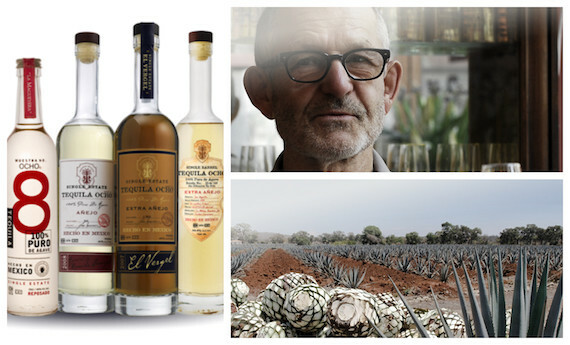 Obviously Ocho is not a big proponent of blending, since our tequila is single-field, but Tomas’ input provided valuable counterpoints to blending, instead focusing on highlighting the flavours of the raw materials of a spirit. 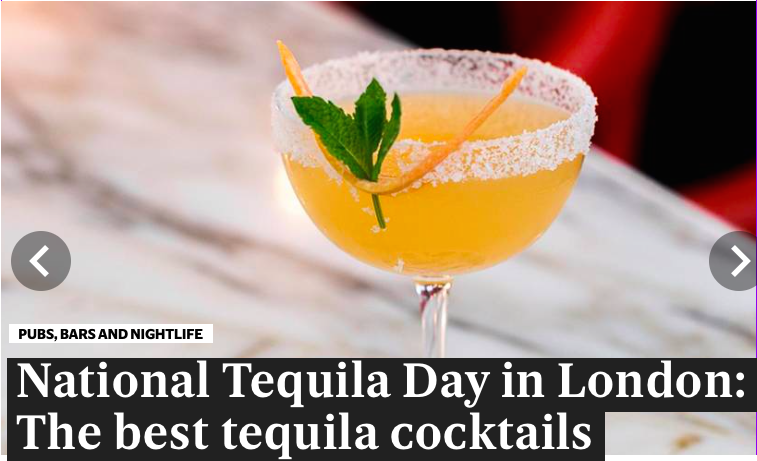 Tequila Ocho and Cafe Pacifico were featured in the UK Evening Standard’s ‘National Tequila Day in London: The best tequila cocktails’. Click here to see full article. 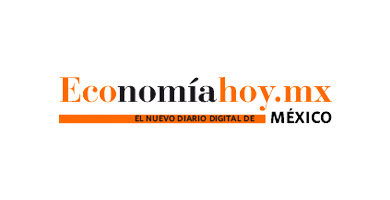 Ocho was featured in Mexico’s Economia Hoy magazine in an article about tequila & mezcal in China. Click here to see full article. 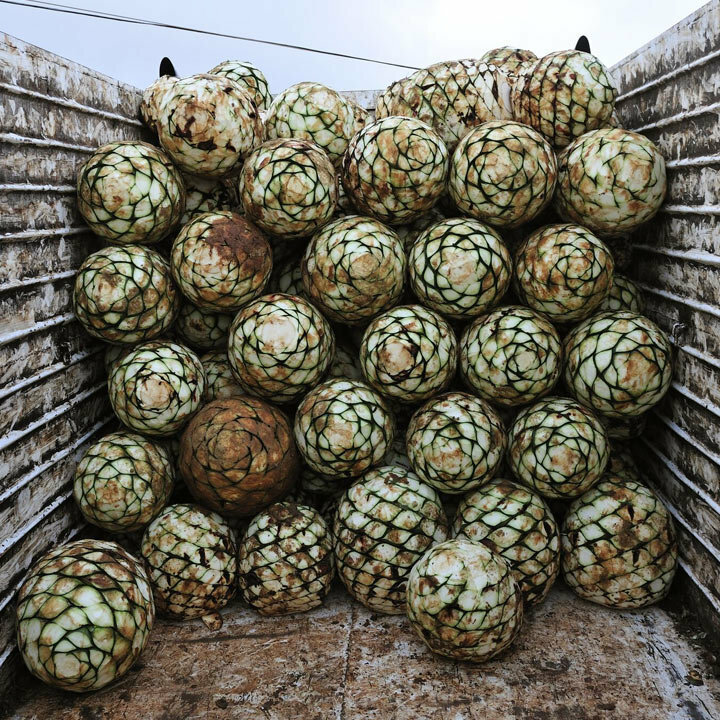 Tequila Ocho Master Distiller Carlos Camarena was interviewed for Chantal Martineau’s article in Liquor.com about the agave shortage. Click here to read full article. Refreshing yet complex, herbaceous, and perfectly balanced. This twist on Joaquín Simó’s Naked & Famous cocktail packs a deceptively strong punch. Click here for recipe. Tony Conigliaro has been an absolute powerhouse in the London bar scene since his iconic ‘Bar With No Name’ (69 Colebrook Row) opened up 9 years ago. All the venues he has opened since then are counted among the world’s best cocktail bars. 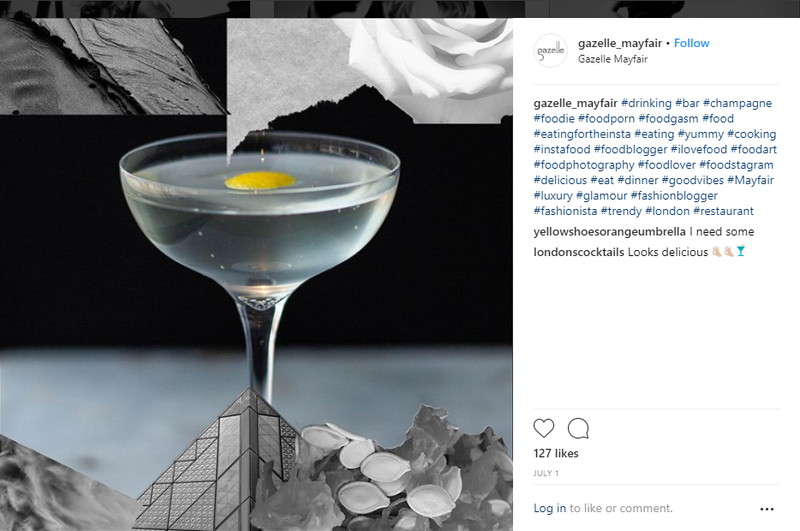 Ocho is extremely proud to be house tequila across the group, and we are especially excited for his new venue Gazelle, which opened this month.